Looking online about a medical diagnosis can be overwhelming. A quick Google search about your thyroid condition might lead you down a rabbit hole where things get pretty grim, pretty fast. So what is this mystery diagnosis of Hashimoto’s? Simply put, it’s the name of the condition where your immune system turns against you and attacks your thyroid. It is the most common cause for someone to need to take a thyroid supplement – hypothyroidism. Your immune system normally does a fantastic job of keeping your body safe from foreign “attacks” like bacterias and viruses. In some individuals, their immune system is tricked into attacking their own body. As a result, the target organ can be destroyed to the point that it no longer works properly. There are a number of conditions that follow this pattern but seem different because different organs are attacked. For instance, if the immune system targets your joints, you get rheumatoid arthritis, your pancreas – type 1 diabetes. All of these “autoimmune diseases” are interrelated and often times hereditary. This is why various members of the same family can present with a variety of autoimmune diseases. 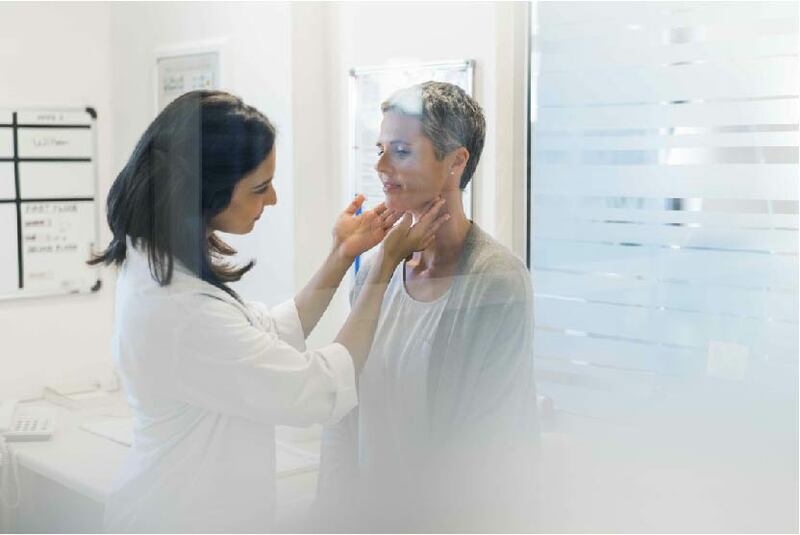 Experts do not know why or how the immune system gets activated but the gradual and eventual destruction of the thyroid can lead to devastating consequences for the patient. The thyroid gland sits in the lower, front part of your neck and its purpose is to make thyroid hormone. This hormone serves to control the metabolic rate of almost all of the organs in your body. It controls processes as diverse as the rate at which the heart beats, the stomach digests food, the brain processes memories and learning, to the condition of your skin, hair and nails. When the thyroid is partially or completely destroyed, the lack of thyroid hormone will make an individual feel tired, constipated, forgetful, have dry skin or brittle nails. Each individual will present in their own unique way. The symptoms can be subtle or get worse gradually. This makes the diagnosis difficult to come by at times. Your doctor at Texas Diabetes and Endocrinology can run a series of blood tests to see the status of your thyroid levels. At times, we can determine if your immune system is making antibodies that are attacking your thyroid. Lastly, an ultrasound of your thyroid can sometimes be useful to see if your thyroid is healthy or if there is a problem. Sometimes, Hashimoto’s can flare up and seemingly get worse. When this occurs, patients can experience the fatigue and other symptoms that first alerted them to the condition. Your doctor might need to increase or adjust your medication so that you can return to feeling back to normal again.